Medical Technology Park Kardio-Med Silesia is a modern research center meet the highest European standards. On March 24, 2016 in Kardio-Med Silesia, we had a pleasure to hold a meeting concerning plans for research programs that are going to be conducted in our park under the supervision of Professor Józef Dulak, M.D., Ph.D.
Development of research and methods concerning personalized and precision medicine – creation, registration and development of cell bank for regenerative medicine. Research with use of induced pluripotent stem cells. Research with use of modern genomics and transcriptomics tools and technologies. Modern research methods development with use of animal models of human diseases. 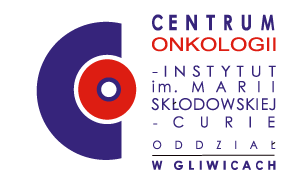 Creation of core facility offering modern research tools and technologies facilitating understanding of cardiovascular diseases mechanisms to clinics and research teams from the Silesian Center for Heart Diseases and the Medical University of Silesia. Organization of science conferences concerning translation research and molecular medicine. Development of regional scientific cooperation with research centers in southern Poland. Collaboration with biotechnology industry in terms of research for new medicines and therapy methods. Copyright 2018. Kardio-Med Silesia. All rights reserved.